Nothing completes a fabulous painting better than a complementary border or frame - the same goes for your garden. 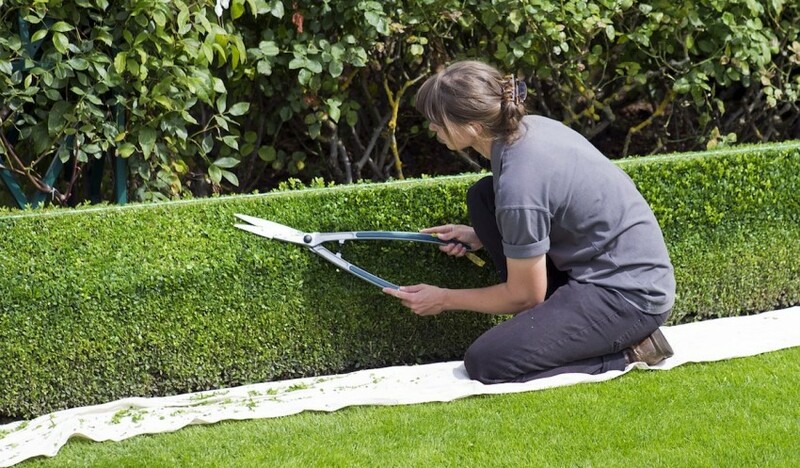 Put the finishing touch to your masterpiece by growing the right kind of hedge around it! Hedges also have great potential within the garden. The French renaissance style of ‘potager’ is experiencing a revival in garden design. Could you create a beautiful kitchen garden delineated into compartments with a decorative hedging pattern? Hedging brings so many benefits to the garden – from providing a home for numerous types of birds, insects and small mammals or an efficient air-quality enhancer through to delivering a structured frame to mark out your boundaries. The big message from water companies and conservation organisations is that how we manage our individual spaces has a big impact on the overall ‘liveability’ of our urban areas. From biodiversity to water management, hedges are boundaries that help to deliver ‘added value’ to enhance our lives. Evergreen hedges are perhaps the most beneficial from a year-round perspective. We’ve identified a couple of hedging species that may take your fancy. A favourite of mine is Buxus. Commonly known as box, Buxus is commonly used for hedging and topiary and is considered (in my opinion) the topiary king! If you think of yourself as a budding sculptor, then buy Buxus and let your artistic talents run riot! Chickens, bears, spirals and cones can all be achieved if you have the ‘knowhow’. If you are like me and your ‘knowhow’ leaves your topiary with a distinct Picasso look to it, don’t despair as topiary frames are available on the market to help you achieve a professional look. If you’re looking for simplicity, a neatly clipped box hedge looks fabulous with little effort. Box wood is high in density and is one of the few wood types that does not float. It is commonly used for carving and lends itself particularly well to the carving of wooden chess pieces. Another great garden choice is Taxus or yew. Taxus has in recent years had a bit of a reputation makeover – anyone would think it had employed the services of Max Clifford! Traditionally Taxus has been synonymous with sorrow and called ‘The tree of death’ – often being found in graveyards and churchyards; perhaps also in part due to its toxic properties. More recently however, Taxus is better known for the successful anti-cancer drug Taxol® that was originally manufactured from a product of the yew tree. Taxus is planted commonly as an ornamental and the common yew Taxus baccata, is particularly of interest for hedging and topiary. The wood of the yew was used for making longbows back in the 15th century and famously helped the English to win victory at the Battle of Agincourt in 1415. Yew trees are renowned for being long-lived with some specimens believed to be over 2 thousand years old… proof (to me at least!) that the Yew is much better to be called ‘The tree of life’. Find a sheltered spot and some winter sun and enjoy a little plant magic this January! Secluded corners provided by hedging are a fantastic place to enjoy the unexpected pleasure of scent from winter flowering shrubs. Sarcococca humilis is a dwarf evergreen shrub with pink-tinged, white winter flowers which provide beautiful fragrance. Viburnum x bodnantense flowers from late autumn into spring and has the added benefit of fragrant flowers. Lonicera fragrantissima lives up to its name and produces creamy-white flowers from December onwards. On the days when it’s not appealing to be outdoors, make the time for a little armchair gardening. Seed catalogues, plant guides and the internet are a fantastic source of inspiration. Rough out your ideas on paper for making the garden even better this year.